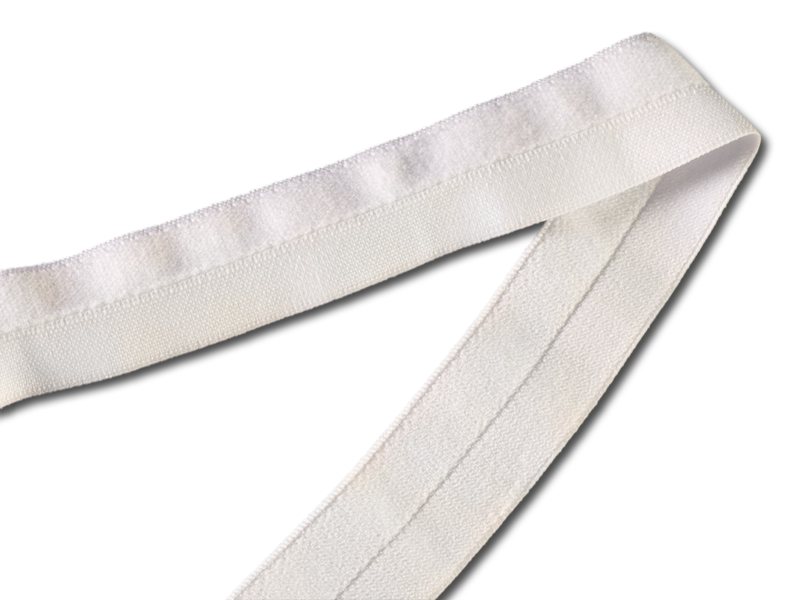 This (FOE) foldover elastic measures 22mm wide (about 7/8") but can be made to almost any width. It features a line down the center for easy folding. When folded in half the outside has a slight shine to it. 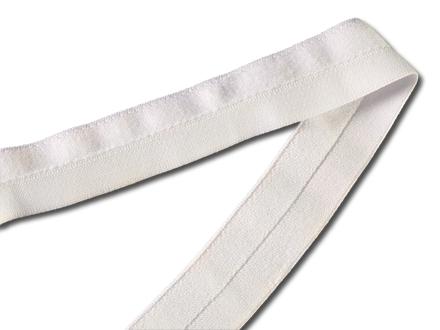 This FOE is used to finish edges on lingerie, encase the legs and waistbands on diaper covers as well as edges on other types of garments.